MG80386SX: Pin counts: How low can you go? Seeing this pin out, the first processor that comes to mind probably isn’t an Intel 80386. The 80386DX came in a 132 pin package (PGA or QFP) and the 386SX came in a 100 pin QFP. 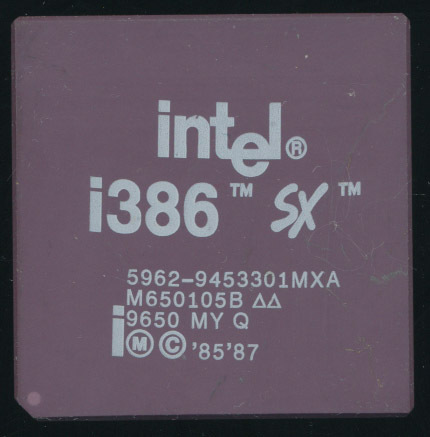 The 386SX was the low end version of the 386. It made do with 16 bits of Data bus, and 24 bits of Address, as opposed to the full 32-bit buses of the DX. This accounts for 27 less pins (16 Data + 7 Address, 2 data byte selects and a 16/32 bit pin). That covers all but 6 of the difference in package sizes. Where are the rest from? As with most processors, the signaling pins are not the only pins used, or not used on a package. 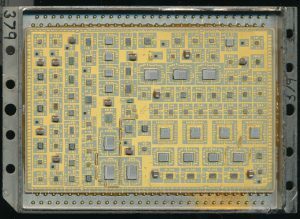 The 80386DX has 84 signal pins, pins that carry information to or from the processor. It also has 40 pins for power and ground. 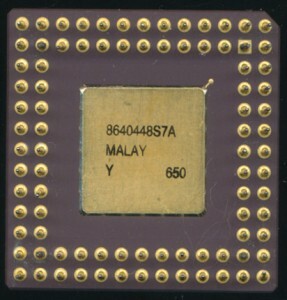 In the early days, when processors had only 40 pins or less, it made sense, and was feasible to have a single power and ground for the entire chip. As complexities increased, routing became harder, and it became easier to have multiple power and ground pins to the die. 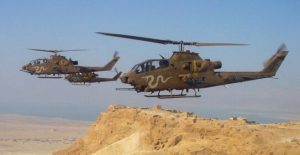 Not to mention electrically more stable, as current requirements were also increasing. In addition the 386DX has 8 pins not used at all. These are known as ‘No Connects.’ They are reserved for future use, or were there for testing, or simply just not needed. Moving to the 386SX, which has 26 less signal pins (58), the standard 100 pin package used 10 No Connects and the rest (32) for power and ground. 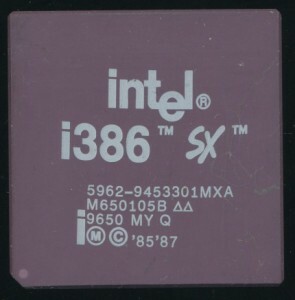 The pictured 386SX is a late production (1996) military spec processor in an 88 pin package. 88 pins still leave plenty (30 pins) for power, ground, and no connects. The PGA 386SX was only produced for military/industrial uses. Why use an expensive PGA package on a low end SX processor? 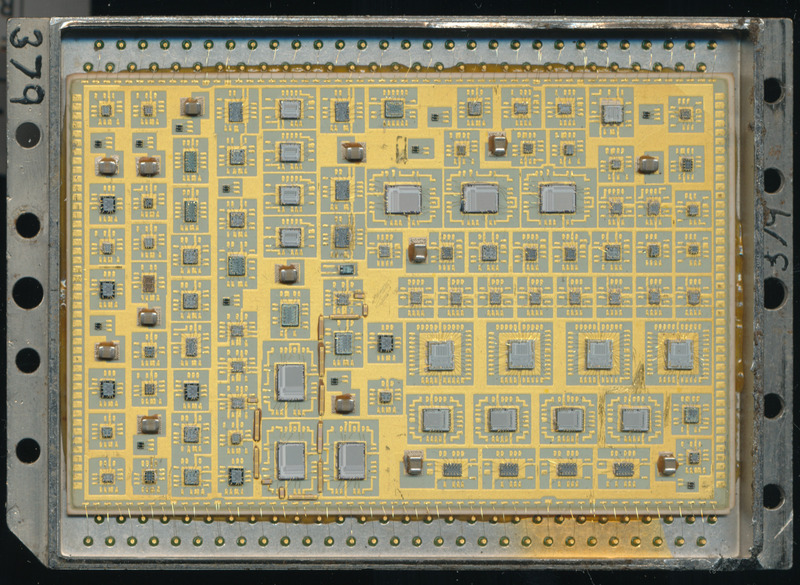 The reduced bus sizes were plenty for many industrial applications while the ceramic package was much more reliable, and mechanically strong when soldered on to a board then a plastic QFP. The PGA could work over the entire military specification, for temperature, voltage etc. 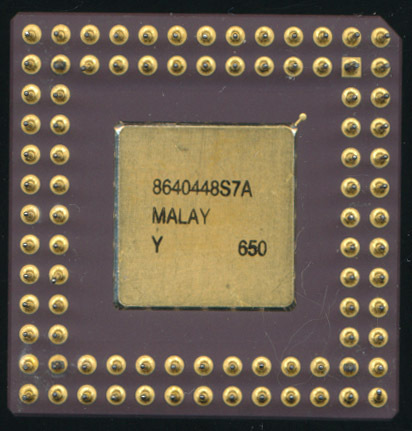 Its likely the 386SX could run on an even smaller pin count, but the PGA88 package was a standard package already in production, which often dictates how many pins a processor will have. The same is true today, pin-count is usually driven more by what works for the package, then what the processor actually strictly needs.